Friday, March 23rd, 2018, St. Stephens Fire Department participated in Operation Medicine Drop. 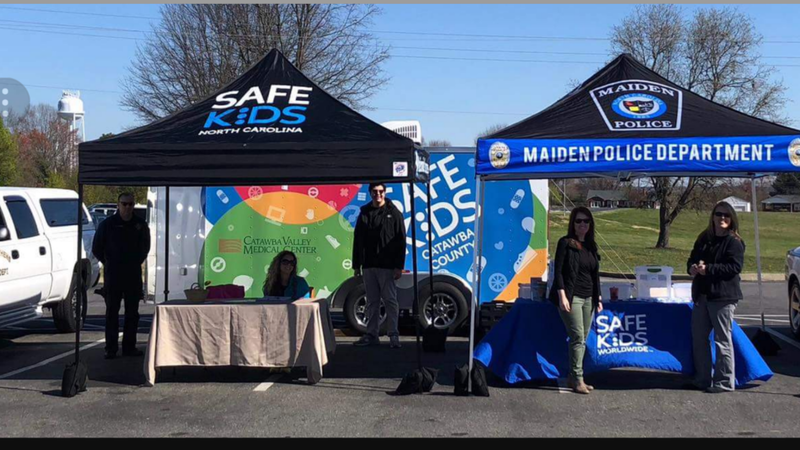 This event was coordinated by Maiden Police Department, Catawba County Sheriff’s Department and The Catawba County Safe Kids Coalition. 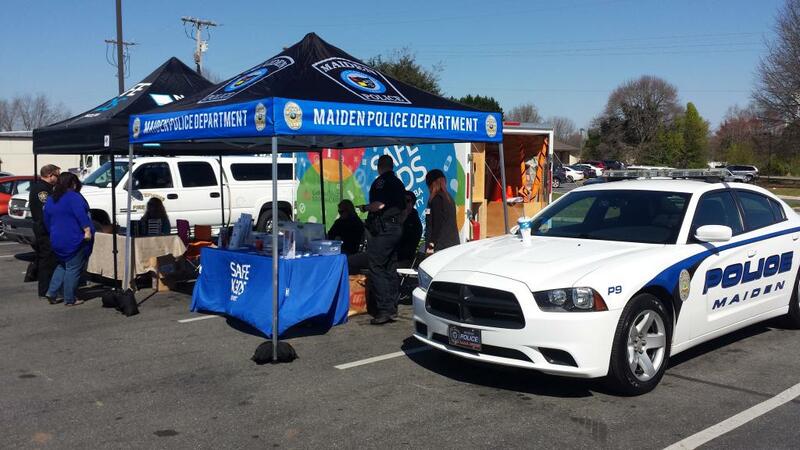 This event was sponsored by TAS Drug in Maiden and North Carolina Safe Kids. 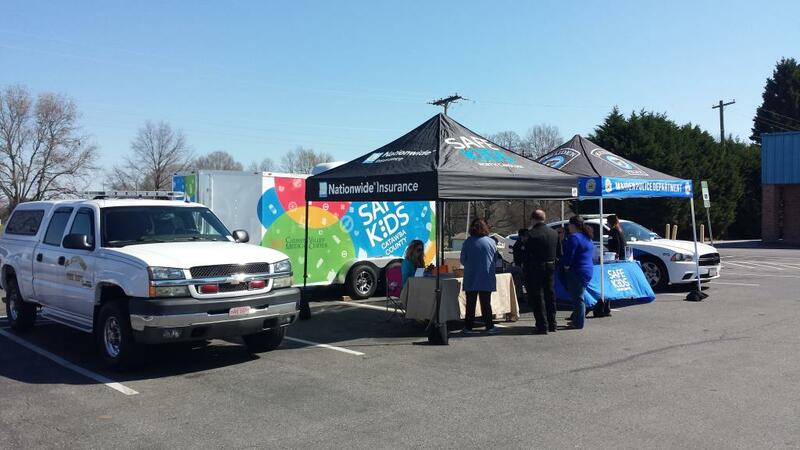 St. Stephens Fire Department is actively involved in the local Catawba County Safe Kids Coalition. 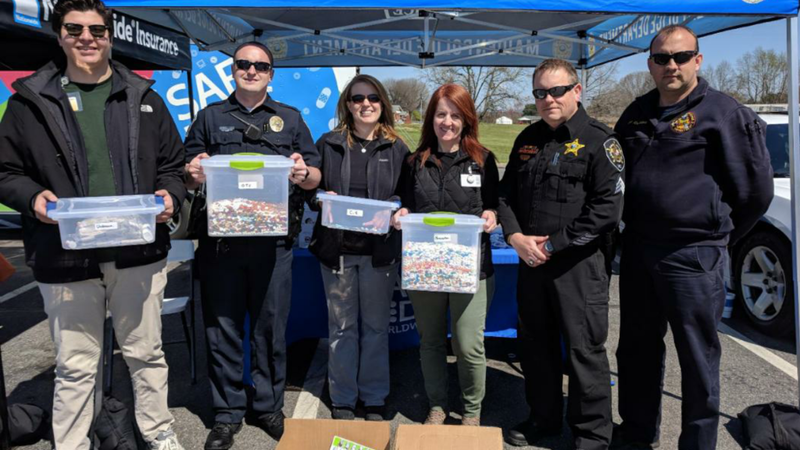 This event was partnered with Project Lazarus to bring in and properly dispose of your unused or expired prescription and over-the-counter medication. Project Lazarus was established in 2007, as a response to extremely high overdose mortality rates in Wilkes County, NC, Project Lazarus successfully and dramatically decreased Wilkes’ overdose mortality rate by devising and implementing what is now known as the Project Lazarus Model. The Project Lazarus Model is a public health model based on the twin premises that overdose deaths are preventable and that all communities are responsible for their own health. Project Lazarus is a non-profit organization that provides training and technical assistance to communities and clinicians addressing prescription medication issues. Using experience, data, and compassion they empower communities and individuals to prevent overdoses and opioid poisonings, establish effective substance use / disease of addiction treatment and support, and meet the needs of those living with pain. 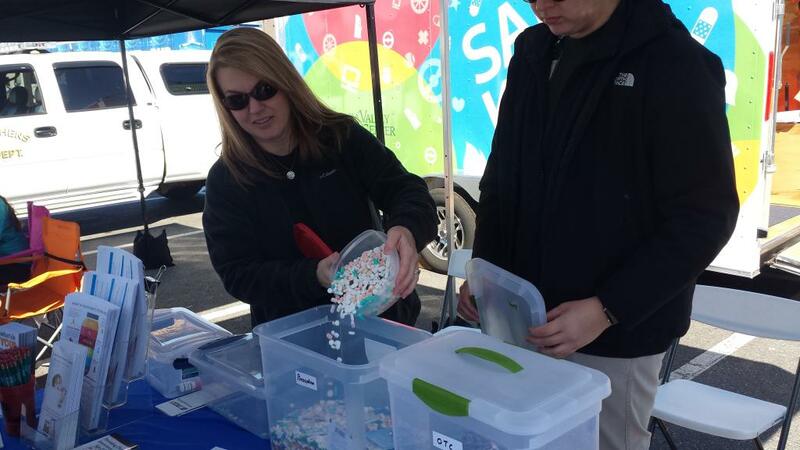 This was the first medicine drop event that Safe Kids Catawba County has been involved with. We were pleased with the results and the support and participation from the community. 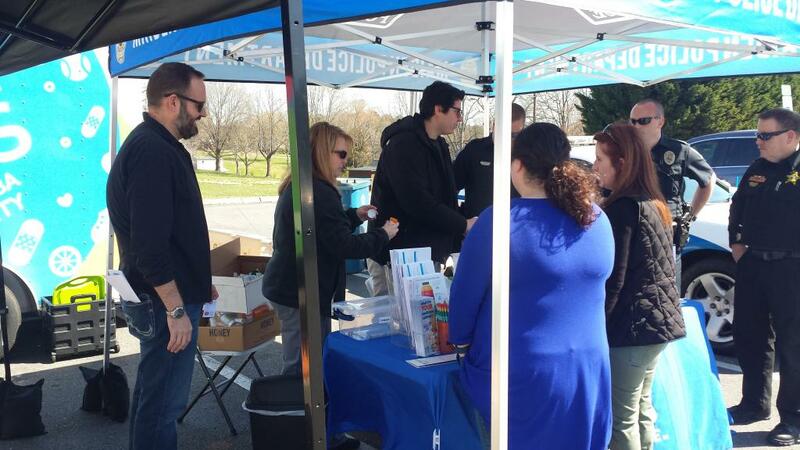 During this event we collected approximately 33 pounds of medication that totaled slightly over 25,000 pills. Controlled Substance medication that was collected equaled .1 pound or 75 pills, Prescription medication was a total of 15.6 pounds or 11,700 pills, over the counter medication totaled 16.8 pounds or 12,600 pills and the total of miscellaneous pills totaled 1.11 pounds or 832 pills. Once the medication was collected, it was secured for the Catawba County Sheriff’s Office to dispose of properly. In emergency room visits from medicine poisonings, parents often say that they only turned their back for a minute. Research indicates in about half of over the counter poisoning cases, the child climbed on a chair, toy or other object to reach medicine. Research also suggests about half of accidental poisonings involved child-resistant packaging. We would like to share several medicine safety tips, statistics and what to know about storing medicine. The risk is real! -	Put all medicine up and away, out of children’s reach and sight. -	Child resistant packaging is not childproof. -	Put medicine away after every use, even if you need to give another dose in a few hours. -	Keep visitors’ purses, bags and coats out of the reach of kids, as they may contain medicine. -	Use only the dosing device that comes with liquid medicine, not a kitchen spoon. -	Read and follow the label. Do not give your child more than one medicine at a time with the same type of active ingredient. -	When other caregivers are giving your child medicine, write clear instructions about what medicine to give, how much to give and when to give it. -	Every 9 minutes a young child, under the age 6, goes to the emergency room because they got into medicine. -	Every hour a young child is hospitalized due to getting into medicine. 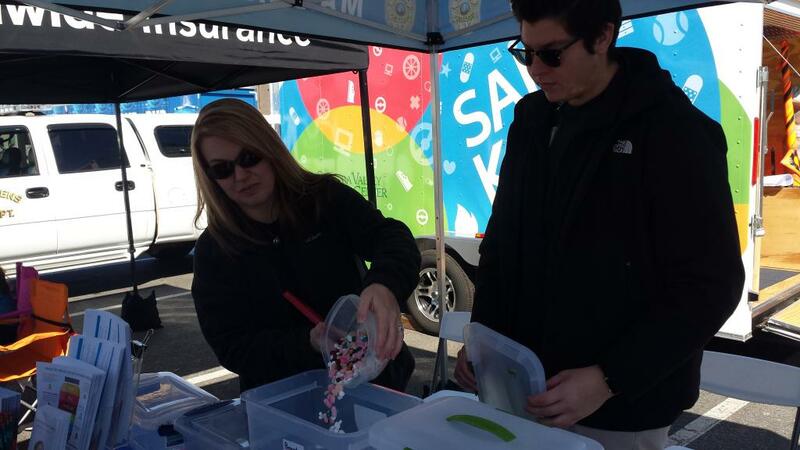 -	Every 12 days a young child dies from accidental poisonings from medications. 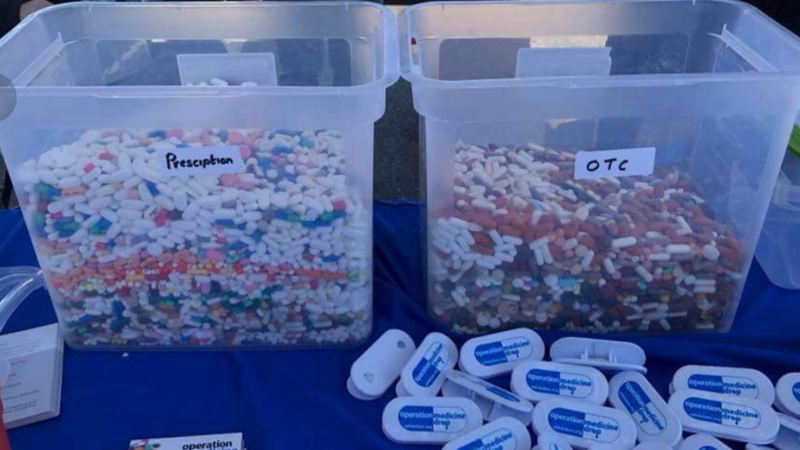 Friday, May 18th, 2018, St. Stephens Fire Department has organized another medication take back event at the Springs Rd. Wal-Mart Neighborhood Market located at 2415 Springs Rd. Hickory. This event is scheduled from 11am – 2pm. 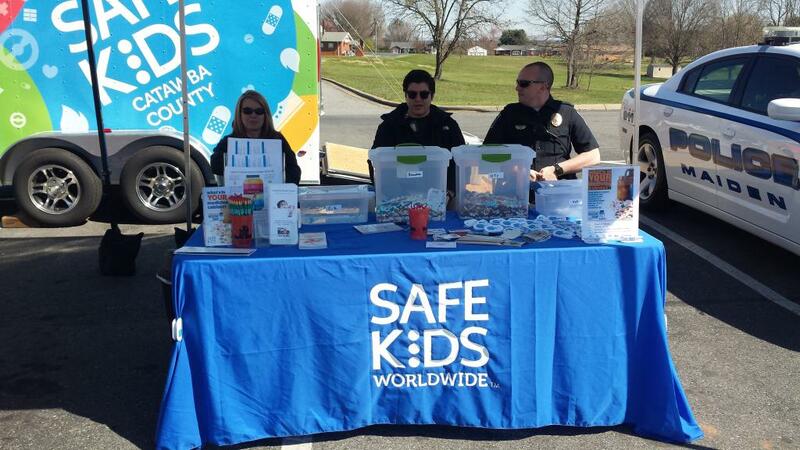 This event will be partnered with Safe Kids Catawba County, and the Neighborhood Wal-Mart Pharmacy. For more information on the event you may contact St. Stephens Fire Department or the Wal-Mart Pharmacy. Participating with the event with be Hickory Police Department, Hickory Fire Department, and the Catawba County Sheriff's Department. We would recommend to save the Poison Help number in your phone and post it visibly at home so that other caregivers may find it in an emergency. That number is 1-800-222-1222. Learn how to teach older kids about medicine safety at www.scholastic.com/OTCMedSafety. For more information about Safe Kids Catawba County you can visit on Facebook. 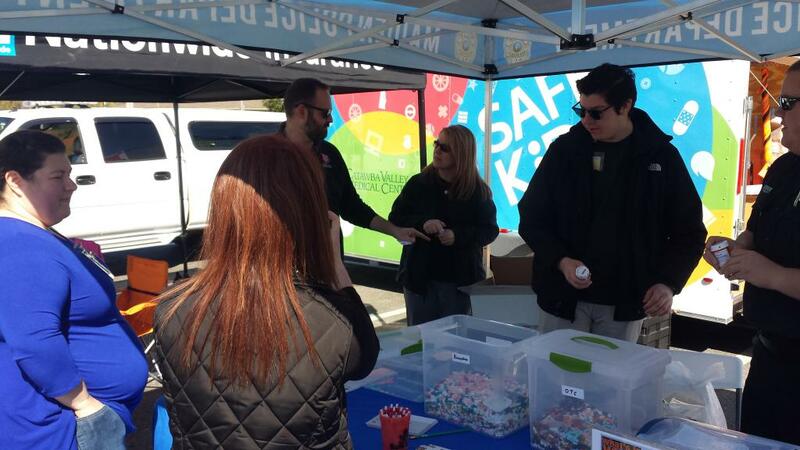 You may also visit www.ncsafekids.org to find a Take Back Event location near you.